Penrhyn Avenue is a ‘Warner’ style house located in Walthamstow, North East London. When the owners bought the property it was in need of complete renovation to remove some interesting 1970s decoration and as part of the renovation works they also wanted to extend the living space at ground floor. The end of terrace location means there was a large garden to the rear and side of the house which allowed for a wrap-around extension to the living space. This created a large living / dining / kitchen space which has become to primary focus for family life. A separate formal reception room has been maintained to the front of the house. 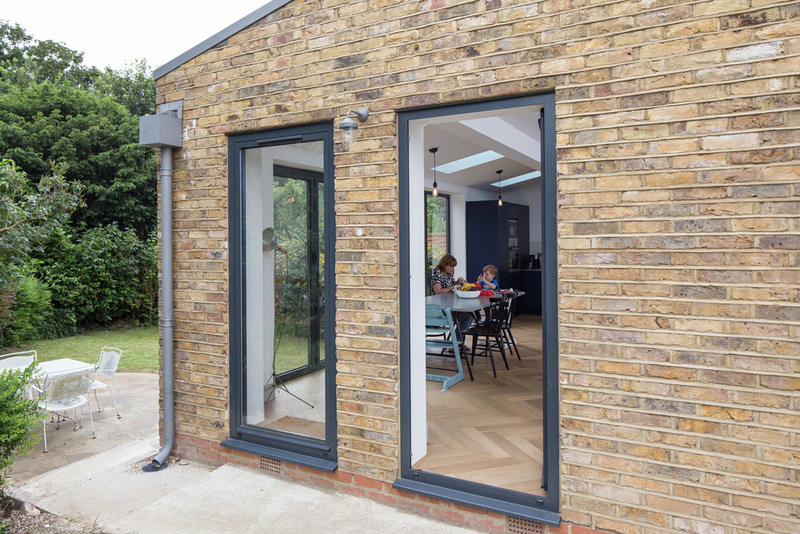 Externally, traditional stock brick combined with contemporary windows and zinc roofing identifies the extension as a modern addition while also grounding the building to it’s context.